Some Mass Effect fans protested the trilogy's conclusion with cupcakes; others used Internet petitions. Gerry Pugliese was a little more ambitious. The self-proclaimed "huge Mass Effect fan" wrote a 400-page script that he calls "a fan revision, and blueprint, for fixing Mass Effect 3." 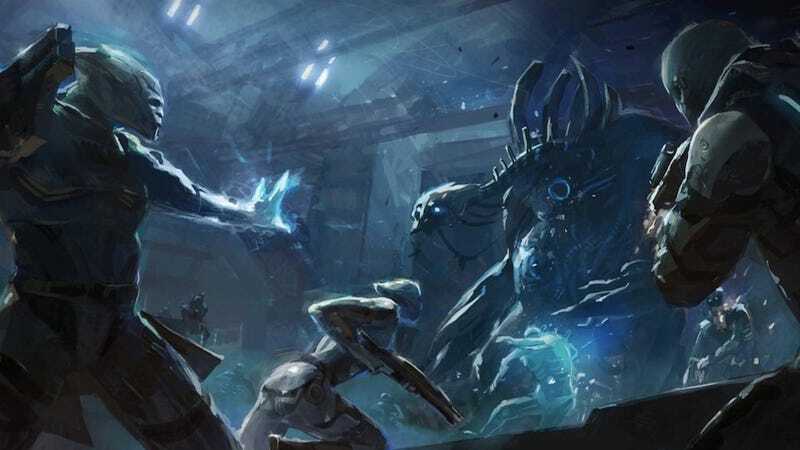 Called Mass Effect 3: Vindication, the script is full of new dialogue and missions for the controversial third entry in BioWare's sci-fi series. It's a book, not a mod, so don't expect to play through Pugliese's changes, but if you're up for some heavy reading, you'll find a ton of new scenes, choices, descriptions, and revisions involving big plot points, character relationships, and that much-discussed ending. "The endings are a third of ME3V and I've created more than ten new ending scenarios," Pugliese writes, "including having Shepard and friends survive, and going on to live happy lives; or Shepard succumbing to the Reapers' power, turning evil, and enslaving the Galaxy, and turning many major characters into Reaper minions to serve at his/her side." Of course, Pugliese didn't just do this for fun. "Hellooooo, game companies!" he writes. "And miscellaneous people who might want to hire me. If you like what you're about to read, I'd love to discuss any opportunities you might have... So yes, part of why I wrote ME3V is because I think it'd be really cool to work in the video game industry, and I know I can do it."